Mr. 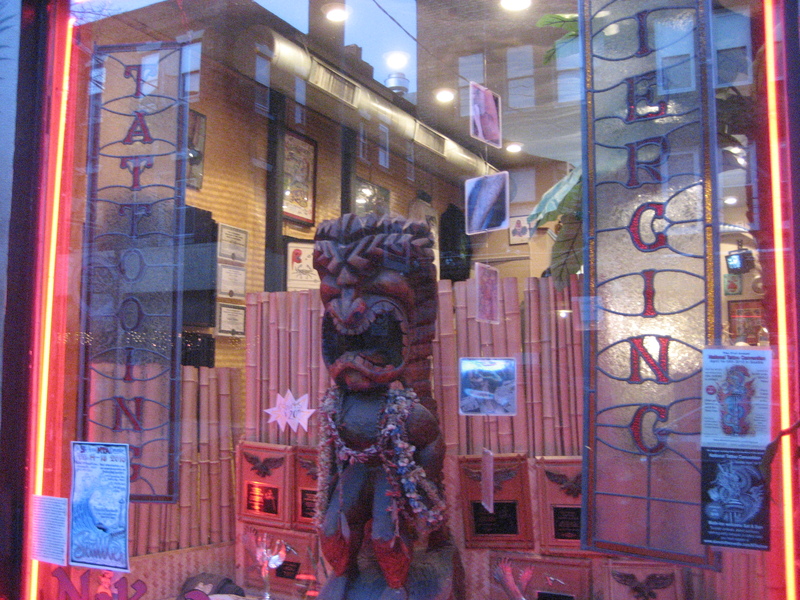 Baseball and I were in Philadelphia a few months ago, and found that the City of Brotherly Love has little love for tiki. 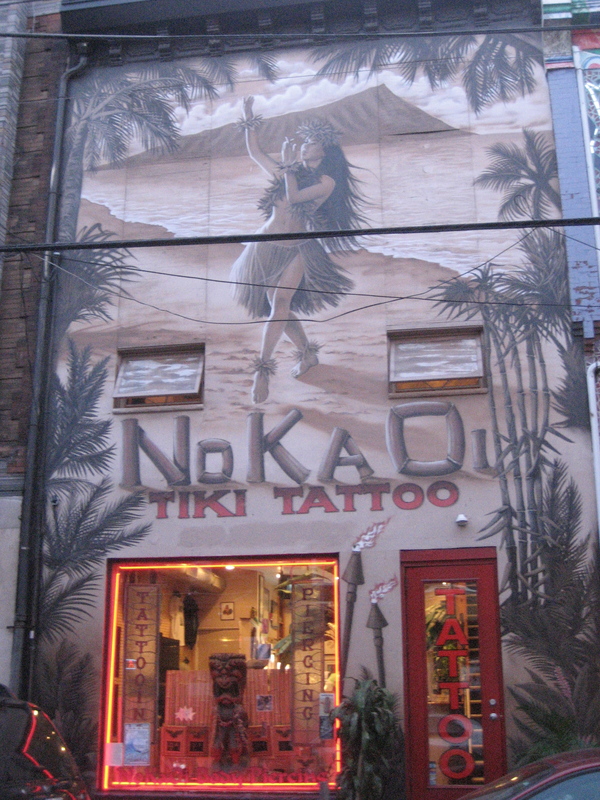 But there is at least one notable exception: the No Ka Oi Tiki Tattoo Parlor. 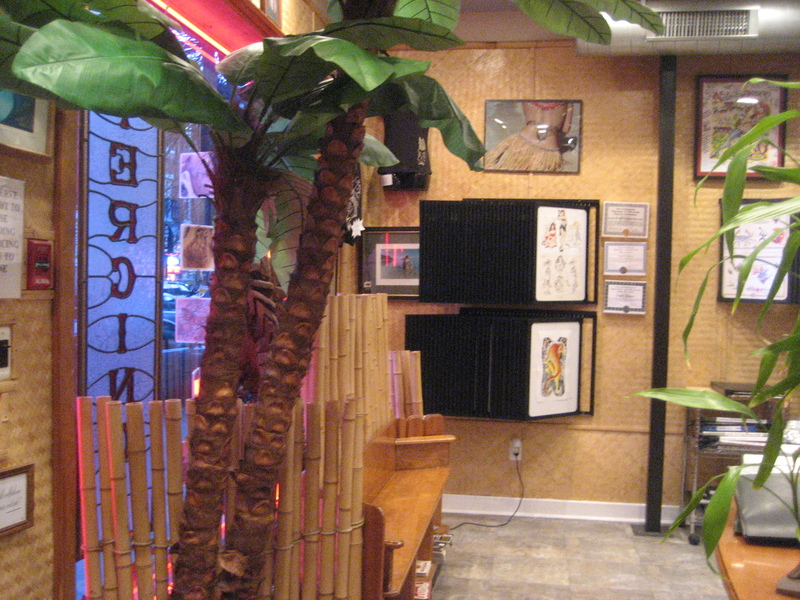 We couldn’t leave Philly without trying some cheese steaks, and the No Ka Oi just happened to be about a mile from the most famous wiz wit purveyors, Geno’s and Pat’s, so we made a quick pit stop. 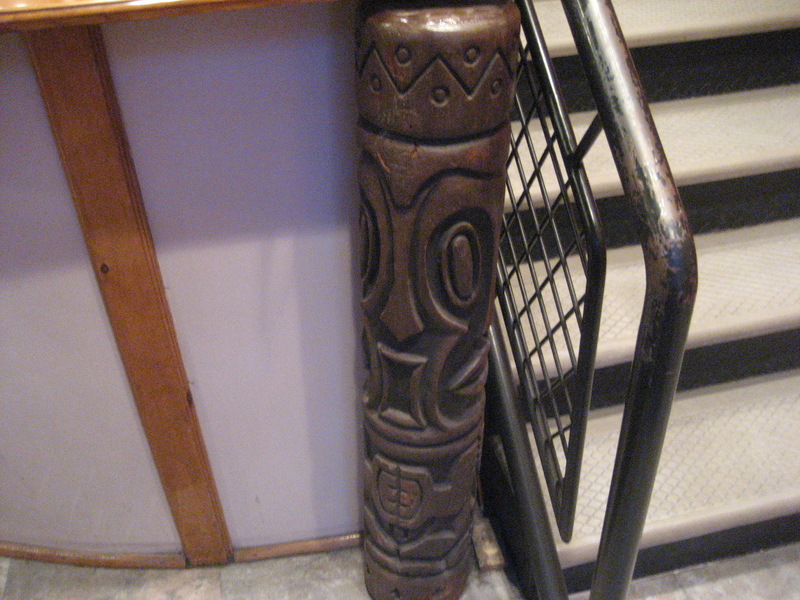 I didn’t get inked or anything, just popped in for a moment to snap a few pics, like of this tiki dude hanging out under the front counter. ← Greetings from Northern Minnesota!